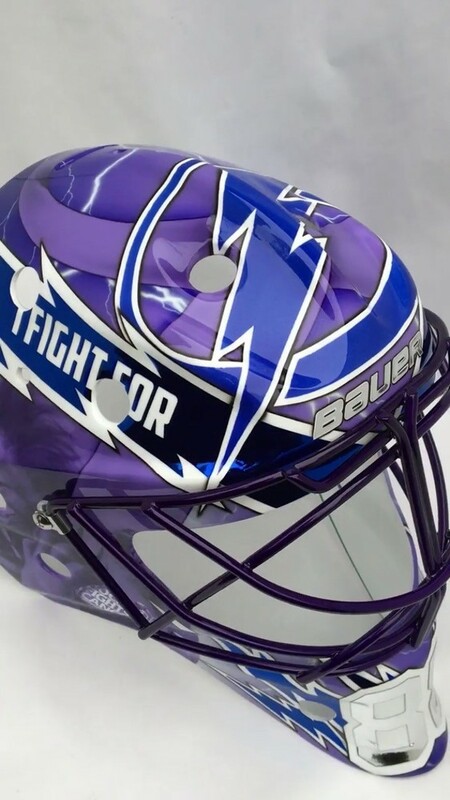 #88 Andrei Vasilevskiy Hockey Fights Cancer themed mask worn on November 6th, 2018 for Tampa Bay Lightning Hockey Fights Cancer night. Items will be shipped via FedEx. 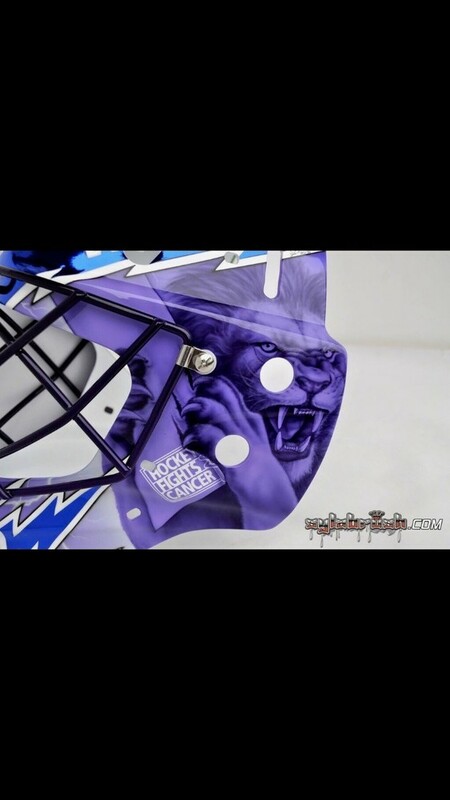 Shipping cost for this item is $30.00 USD within the US and $40.00 USD to Canada. All winning bidders pay shipping charges and are responsible for all tariffs, taxes, duties and any other additional costs associated with shipping inside of North America. If the winner choose to pick up their item at Amalie Arena, the shipping charge will be refunded.